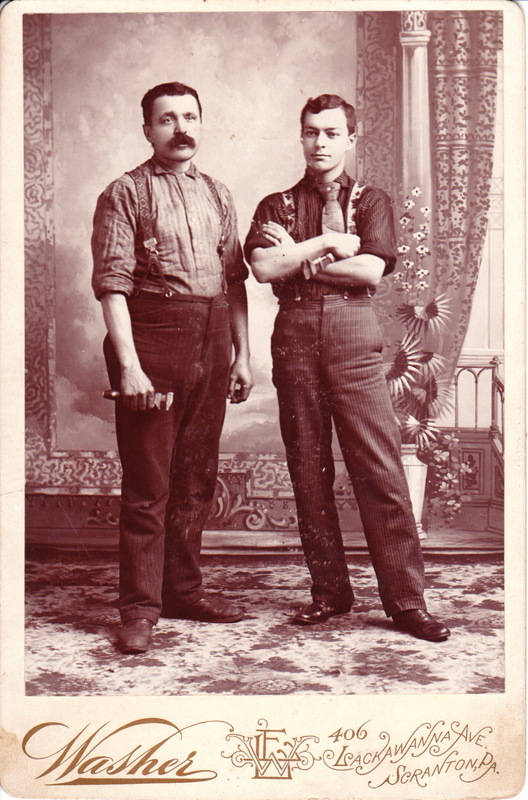 This cabinet card features two workmen, photographed by Washer, of Scranton, Pennsylvania. Both men are holding adjustable wrenches. The men may be plumbers or some other type of tradesmen. One man is wearing work clothing while the second man is wearing a neck tie. One could humorously posit that the man with the tie must be management. The photographer is likely Edward Washer, a Scranton photographer mentioned in photography journals of 1911 and 1914.